If your child loses a tooth prematurely than they may need a space maintainer to keep their teeth aligned while waiting for their permanent teeth to come in. Many kids who fall or get in accidents can lose a tooth before their permanent tooth is ready to erupt. When this happens a space maintainer is needed to keep the space for teeth. 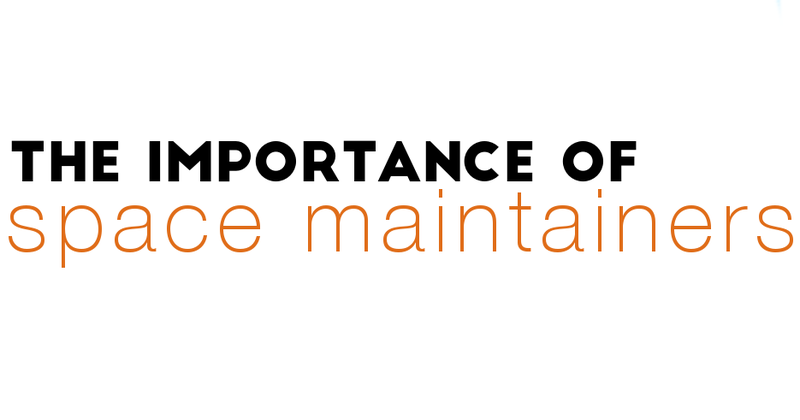 A space maintainer will make sure that the teeth around the space do not shift. If these teeth shift, then they may hinder the incoming permanent tooth. This tooth will not have room to come into the open space if the surrounding teeth shift in to fill the gap. A space maintainer will not only hold the space for a permanent tooth but will also keep the surrounding teeth from shifting inward and becoming crooked. Talk to your dentist about whether or not a space maintainer is right for your child. If they suggest it, then it could save you lots of money down the line on expensive straightening treatments. Newer PostWhat is Your Mouth Trying to Tell You? Older PostWhat Are Dentures Made Of?